Susan Lea Blasberg Orndorff, age 71, of Raleigh, NC passed away with her family by her side at UNC Rex Hospital on Friday, December 8, 2017. She was born August 4, 1946 in Boston, MA to the late Charles H. and Helen U. Blasberg. 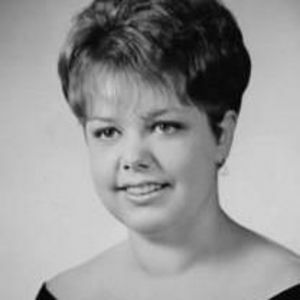 She graduated from Burlington High School, Burlington, VT and Elizabethtown College, Elizabethtown, PA. She married the love of her life, Horace E. Orndorff Jr. on April 7, 1968 in Elizabethtown, PA.
She worked as an office manager for many years at Dixie Beverage Company. Her greatest joys were her grandchildren. She enjoyed spending her free time crafting and was an avid Washington Redskins fan. She is survived by two children, Lori Cobern and husband Steven of Raleigh, NC, Charles Orndorff and fianc�, Renee Depasse of Wake Forest, NC; brother, Dean Blasberg of Vergennes, VT; sister-in-law, Pamela Wise; 2 grandchildren, Payton Cobern and Brooks Orndorff; nieces, Julie Blasberg, Stacie Blasberg; and nephews, Eddie Orndorff, Phillip Orndorff, and Matthew Blasberg. She was preceded in death by her husband, Horace E. Orndorff, Jr; parents, Charles H. Blasberg and Helen U. Blasberg. A celebration of life will be held on Sunday, December 17, 2017 from 5-7 P.M. at the home of her son, Charles Orndorff. In lieu of flowers, memorials may be made to Resources for Seniors, 1110 Navaho Drive, Suite 400, Raleigh, NC 27609. A special thanks to the staff of Duke Home Health and UNC Rex Hospital. Arrangements by Brown-Wynne Funeral Home, 300 Saint Mary's St., Raleigh, NC 27605.